On Thursday, the Harry Potter world lost an amazing talent when Alan Rickman died at the age of 69 after battling cancer. There have been a slew of heartbreaking reactions to his death, including many fans and celebrities. And now, Harry Potter author J.K. Rowling has reacted to Alan Rickman's death on Twitter, and she is just as devastated as all Potterheads are right now. Her first tweet reads, "There are no words to express how shocked and devastated I am to hear of Alan Rickman's death. He was a magnificent actor & a wonderful man." She continued, "My thoughts are with Rima [Horton, Rickman's wife] and the rest of Alan's family. We have all lost a great talent. They have lost part of their hearts." It's no surprise that Rowling is sad over the shocking news. I can't imagine watching your books be brought to life. But, to see a phenomenal actor, like Rickman, bring to life a complex character who is both controversial, beloved, hated, and misunderstood, well that had to be quite rewarding. 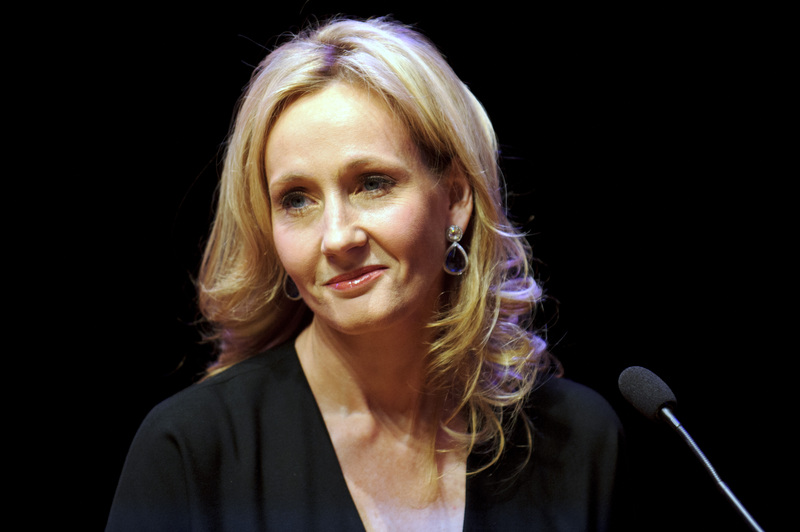 Just like with her book characters, Rowling became close with the actors of the Harry Potter films, too. You could say they all became like a second family to the author. Three children have become adults since a phone call with Jo Rowling, containing one small clue, persuaded me that there was more to Snape than an unchanging costume, and that even though only three of the books were out at that time, she held the entire massive but delicate narrative in the surest of hands. It is an ancient need to be told stories. But the story needs a great storyteller. Thanks for all of it, Jo. I think it's safe to say Rowling and Rickman's fans are now thanking him for his wonderful portrayal of Snape. He will be missed — always.